We understand when it comes to paying for your membership, everyone has differing requirements. That's why we offer a number of different options, choose one that suits you. If you decide to opt for a 12 month membership, you can pay at the beginning of the year in one lump sum by cash, cheque or credit card. If you decide to take out a 12 month agreement and want to pay by Direct Debit, a reduced rate is available. You can pay by monthly Direct Debit for a minimum of one month for a rolling continuous agreement. At Nuffield Health we are confident you will get fitter and healthier with us. That’s why we will let you end your membership agreement early if you haven’t improved your health and fitness. If you have not improved your health and wish to cancel, you must give written confirmation that you wish to cancel to the General Manager of your Centre within 28 days of your second Health MOT. Visit nuffieldhealth.com/terms for full details. Terms and conditions apply. No cash alternative is available. Ready to join? Find your nearest gym to see membership prices. 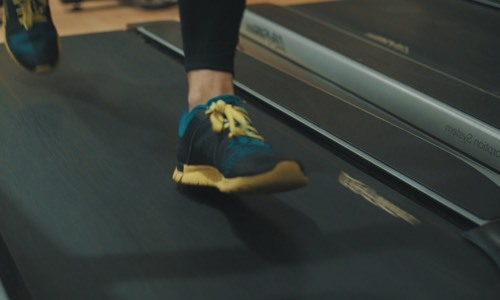 Avoid the chilly weather and train indoors for your winter 10k run with this expert-led interval treadmill training programme.